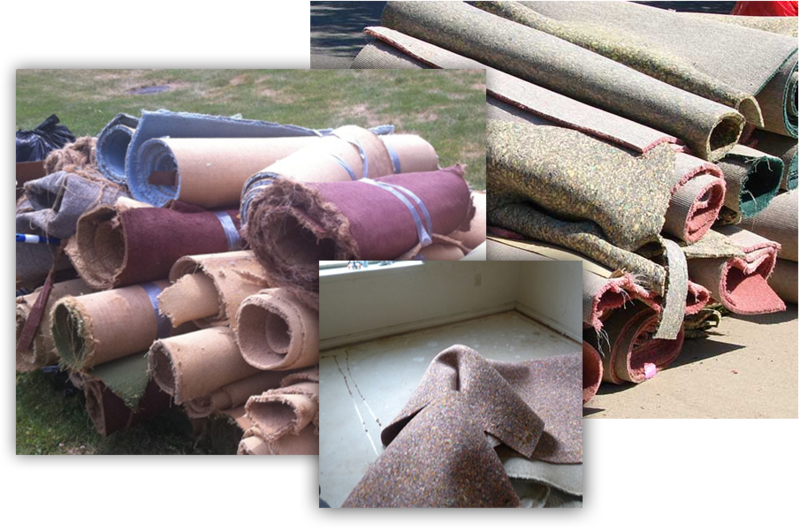 Flat Rate Junk Removal will be happy to work with you on your carpet removal project. 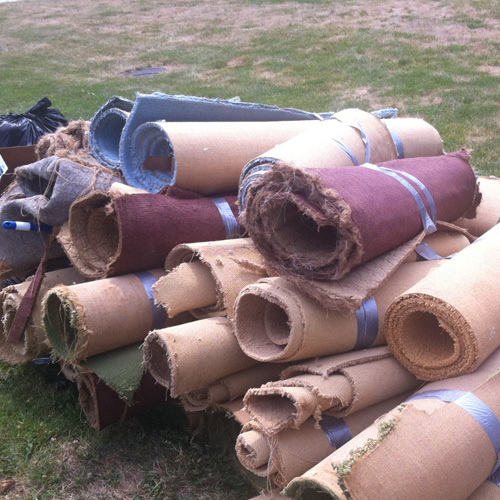 Our team of experts have experience with recycling and disposing all types of commercial and household carpet. 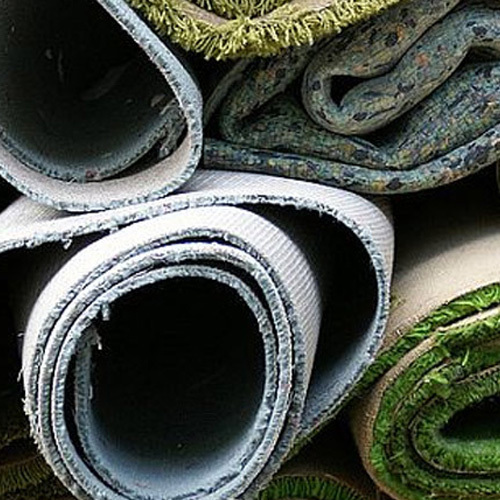 In addition, if you have worn or ruined area rugs, we can dispose of these in a responsible manner too. 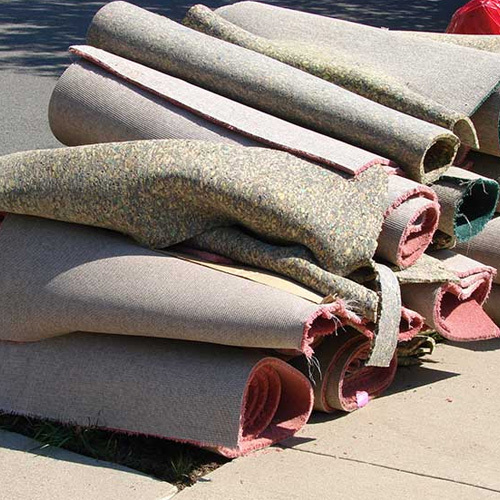 If you are replacing old carpet with new hardwoods, tile or another flooring option, you may be at loss with what to do with those piles of old carpet scraps. 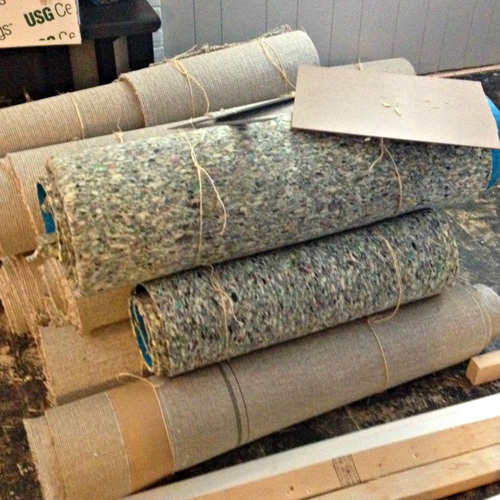 Don’t let this part of the job take away from your enjoyment of your new flooring! 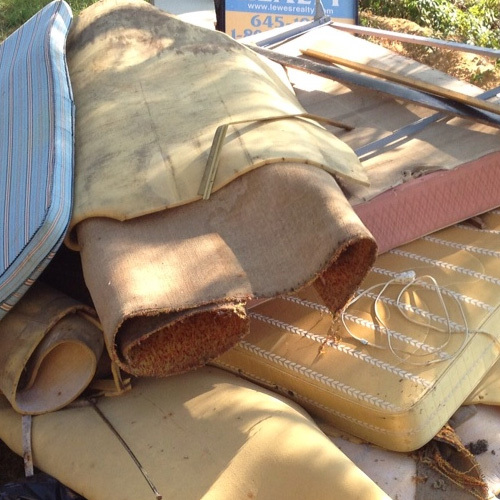 Flat Rate Junk Removal can help.